• Made from high conductivity Copper Tubing. • Tin Plated to prevent atmospheric corrosion. With our industry experience and expertise, we offer Tubular Compression Cable Lugs (As per DIN 46235). 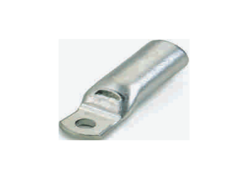 Our range is circumferential insulation supports to the wire and prevents the loss of connects due to vibration, or flexing in use. • Electricity Boards: Generation, Distribution. Being a noteworthy business enterprise, we are readily indulged in presenting to our customers Copper Compression Cable Lugs Heavy Duty. Tubular Compression Cable Lugs technical data and specifications as below tables, Any kind of special Tubular Compression Cable Lugs can be developed and supplied exactly as per customer specifications and requirement. Electro Crimp Contacts Pvt. 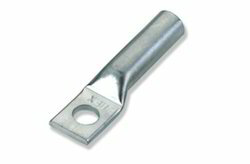 Ltd.
With help of well-informed experts, we are indulged in offering an extensive series of Two Hole Compression Lugs. Furthermore, this product is offered at budget friendly costs by us. We introduce ourselves as reputed and trusted organization to offer a broad array of Tubular Compression Cable Lug. Offered range of products is manufactured from the best quality input factors and adopting the latest methods of fabrication. copper lugs & cable terminals from 1. 5 to 1000 mm2 with different stud hole sizes as required. - our all products are as per rohs compliance.